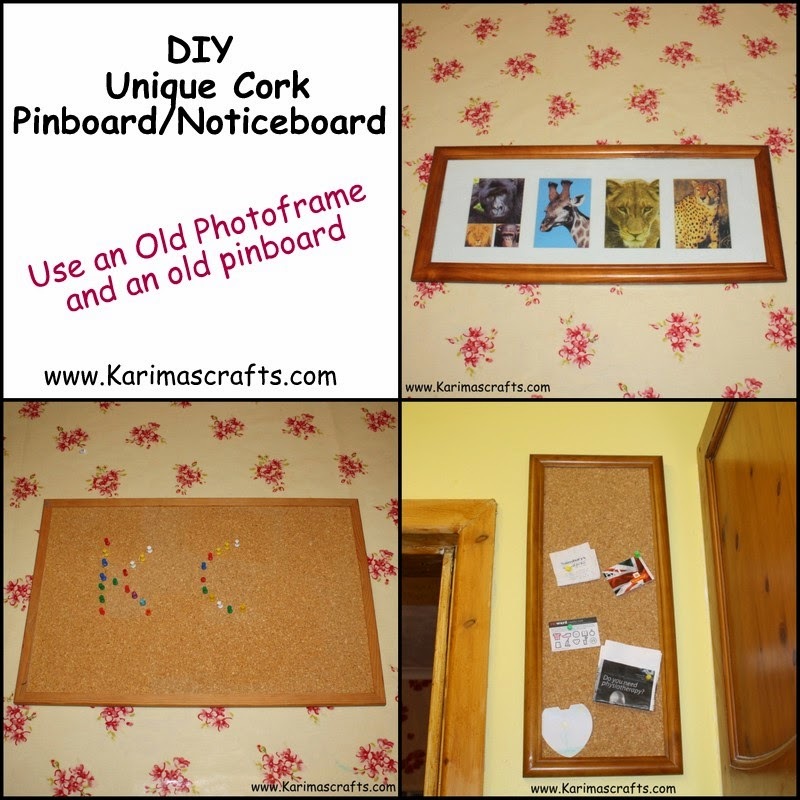 We have just had our Kitchen updated and I wanted to place a pinboard on the wall next to the kitchen door. The only problem was finding one the right size for the space! I decided that I should make one myself but with the least amount of work involved! I had an old photo frame stored away and an old pinboard that we no longer used so decided to use them both to make one nice stylish pinboard that was the right size for the space on my kitchen wall. Step 1: I removed the back and the glass from the photoframe, I needed to dispose of the glass as it is not needed now. Step 2: I removed the corkboard from my larger pinboard. Step 3: I cut the corkboard to the size of the photo frame, you could use the backing as a template! Step 4: I placed the corkboard into the frame and re-attached the backing. I now have the perfect sized and stylish pinboard in my kitchen now!